The ad features a cover of the Beatles song Golden Slumbers by Elbow. YES, IT’S STILL a little too early to be throwing the ‘C-word’ around. But we’ll make an exception today for the John Lewis Christmas advert, which was released at 8am this morning. 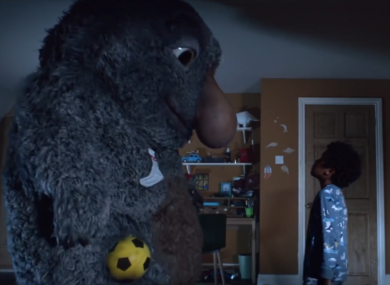 The previous two years have featured Buster the boxer dog, and Monty the penguin, but this year’s ad features a different kind of creature: Moz the Monster. The featured song is an Elbow cover of Golden Slumbers by The Beatles, contrary to previous speculation that the song would be Last Christmas in honour of George Michael’s memory. The high-end British department store has built a name for itself through releasing emotive, imaginative adverts that revolve around family and friendship during the festive season, and has gathered a lot of attention in the past few years that it’s been released. The feedback has been a bit mixed so far, with one commenter saying that John Lewis has set the standard too high with previous adverts, and they expected more for a budget of £7 million. What do you think of this year’s ad? Give us your critique in the comments below. Email “The John Lewis Christmas ad is here, starring Moz the Monster”. Feedback on “The John Lewis Christmas ad is here, starring Moz the Monster”.